Some parents have a love-hate relationship with Halloween. 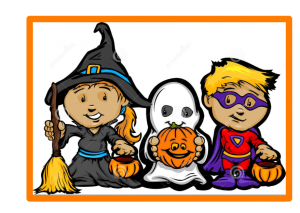 We love the fun, festive atmosphere that makes our children so excited but we cringe when we think about the massive amounts of sugar associated with the parties and Trick-or-Treating. Ever wonder how a dentist would handle the Halloween sugar rush? 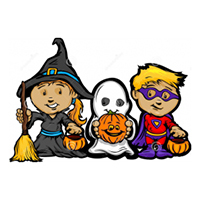 First remember that going trick or treating is part of being a kid and you can’t stop neighbors from dumping pounds of sugar in your child’s bag. When your child returns home dump out all the candy into a Candy Triage. 1. Hard Candy: (suckers, jolly ranchers, etc.) Give your child 10 minutes to try all they want. A total free-for-all. Then put it all in a bag and throw it out. Hard Candy is the worst for your child’s teeth. 2. Soft Candy: (taffy, gummy, chewy) Allow a few pieces that night and then put the rest in a bag. They can have one piece a day until it is all gone. At Dr. Al’s house it is a reward for chores or good behavior. 3. Chocolate: Let them eat all they want. Get it gone in 2-3 days. Or mom you can just keep it all. Chocolate is the least cavity forming candy and a couple of days of fun won’t hurt their teeth. Brush like crazy! Do a five-minute brushing that night. Kids do 2 minutes and parents do 3 minutes. Reapply toothpaste half way through. Have your child spit but don’t rinse out. Go to bed with excess toothpaste on their teeth.